Accept Counselling – If you are looking for friendly, professional support in Salisbury to help you through difficult times then contact Accept Counselling. 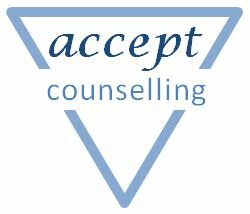 Thank you for visiting accept counselling. If you are looking for friendly, professional support to help you through difficult times, I can help, working in modern, private counselling rooms in Salisbury. A warm friendly welcome waits for you if you choose to make the first step. Call or email me today for a free initial 30 minute chat to see if I can help you. The rooms are located at Serenity Place, Unit 22, Portway Business Centre, which is close to the Old Sarum Park & Ride. There is free parking outside and the bus service to and from Salisbury is just a short walk away. There is a disabled accessible room with a ground floor waiting room, counselling room and toilet available. Please specify if you would like a ground floor room when you contact me. The price for a 50 minute session is £40. I am pleased to confirm that from April I will be offering morning sessions on Wednesday at 7.30am, 8.30am and 9.30am as my existing sessions are currently full.